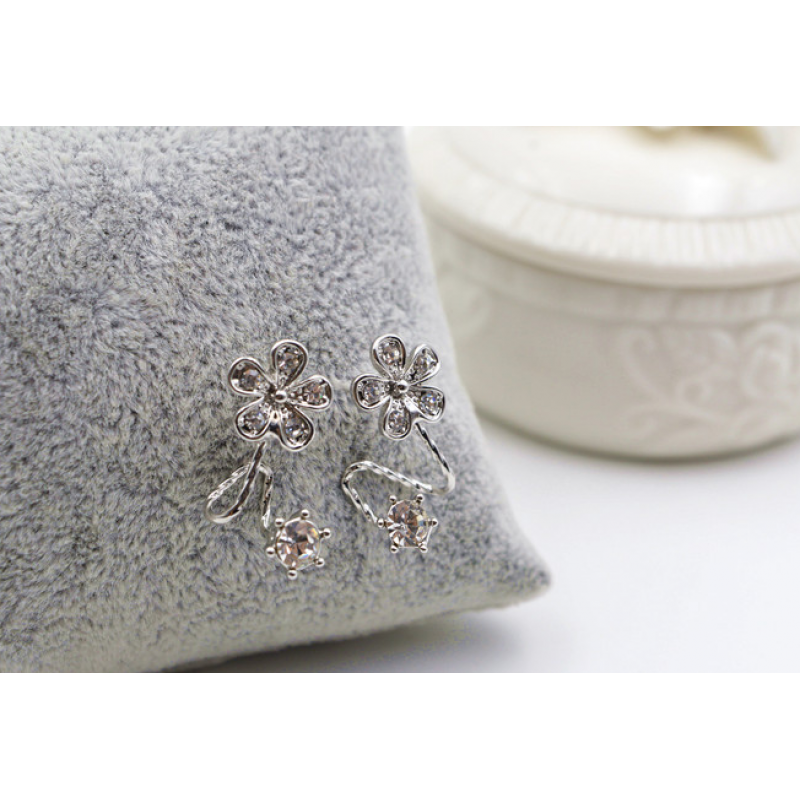 ROSE SILVER coated alloy was molded in such a beautiful way from front to back and then from back to front. Both edges with five round sided petals on one side and a single big pearl was fitted in other side with a push favorite lock. 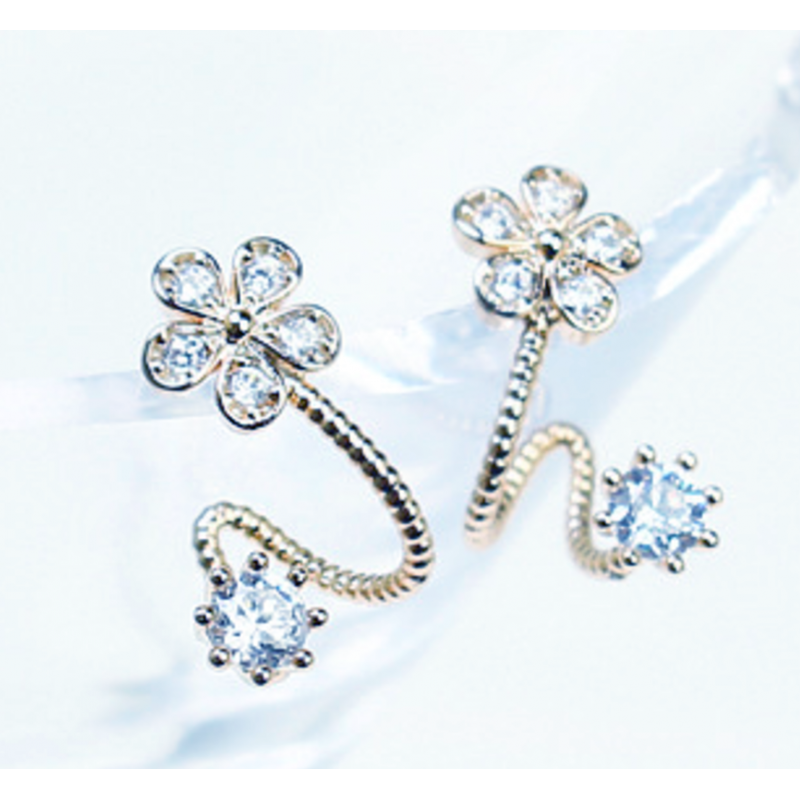 GOLD color alloy material was used in this stylish cherry blossoms flower Stud Earrings, a beautiful..